If you are looking to spend up to $1000 on a new mountain bike you may need to reconsider your price limit. It's time for a garage sale to raise that budget to $1399. Introducing the brand new 2017 Salsa Cycles Timberjack 27.5+ GX1. Timberjack at home in the dirt and trees. 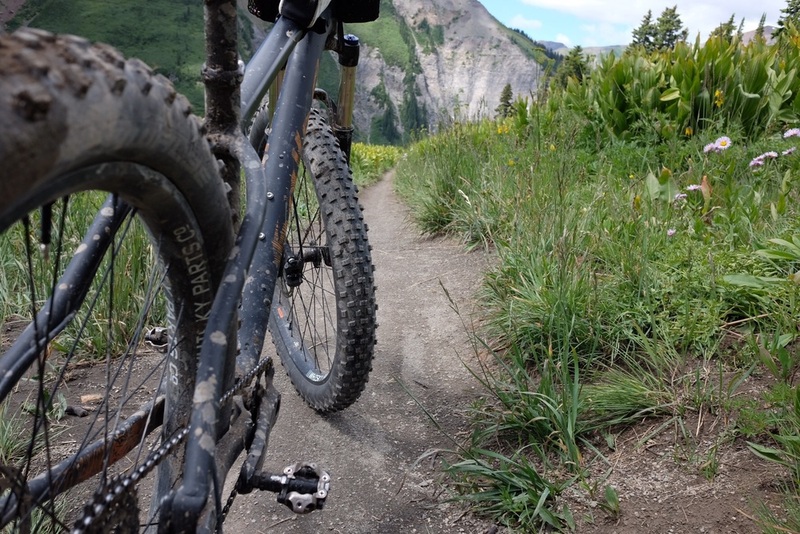 The crew from Salsa Cycles let me take the soon to be released new hardtail to Crested Butte, CO this week to rip on the dirt at high elevation. The last few days I've ridden this bike on eye watering descents, lung depriving climbs, loose rocky single track and everything inbetween. Timberjack climbs with the most confidence of any hardtail I've thrown my leg over. With a wide gear range of the 30t front chainring and the 11-42t rear cassette it has a low enough gear to climb the steepest terrain. Climbing is one of my favorite aspects of riding and I can tell quickly if a bike is going to make it exciting and fun or a chore. Timberjack was over 11,000ft a handful of times this week. 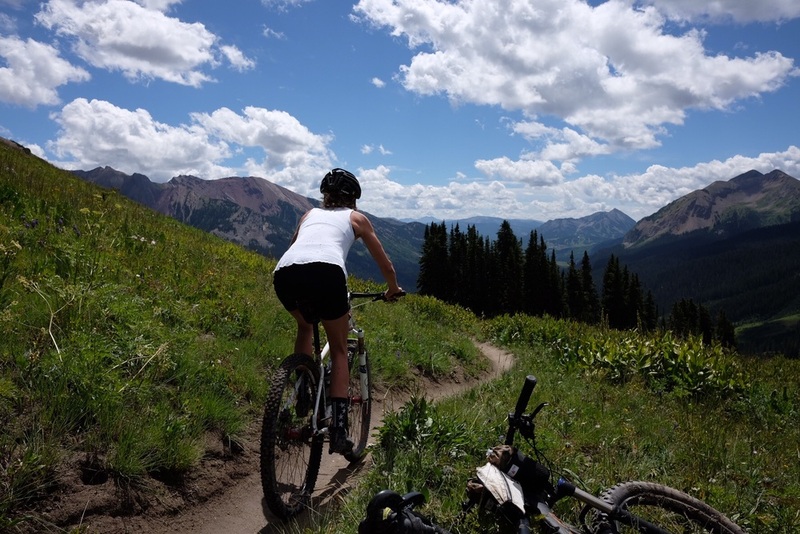 I took it up the iconic 401 trail outside of Crested Butte yesterday on a morning ride with my wife, Crystal. The front end is sure footed and stays planted on seriously steep roads and single track and rocky sections as well. The rear end of the bike is positioned underneath the rider and gave me tons of traction with the 3.0 tire through multiple trails. Not once did I lose my line or have to come off of the bike because I lost traction. Timberjack has the responsiveness you want from a hardtail with the traction and climbing confidence you gain from a full suspension 29'er. When the climb is over this is where the bike seriously has the most fun. Railing corners, flying through rock gardens, quick responsiveness in technical terrain, and I completely forgot I was on a $1399 aluminum hardtail. With tire pressure around 14-15psi, and still running tubes since that's how the bike came from the demo truck, the ride down the mountain was dialed. 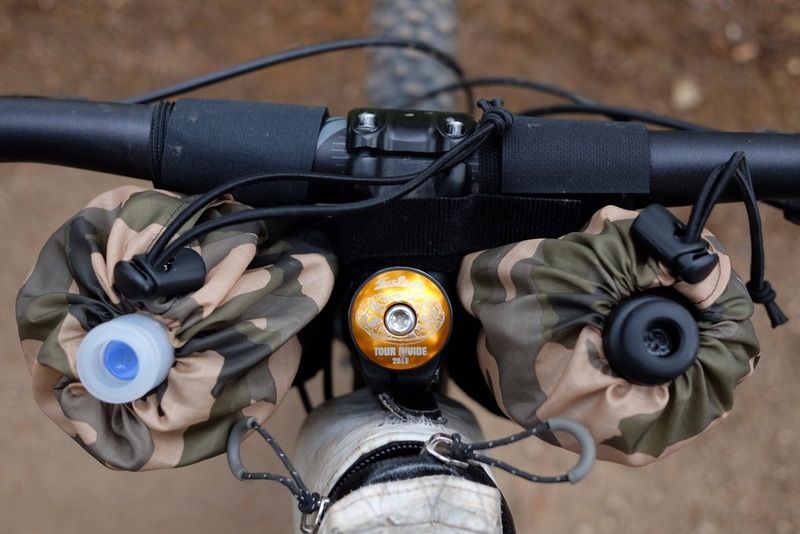 Timberjack has internal dropper post routing for those riding really steep descents. A dropper post would be a great upgrade to a stellar parts package. The bike would go downhill as fast as I felt comfortable and at times faster than I normally descend. Never once feeling out of control or wanting to push to the outside of the trail. 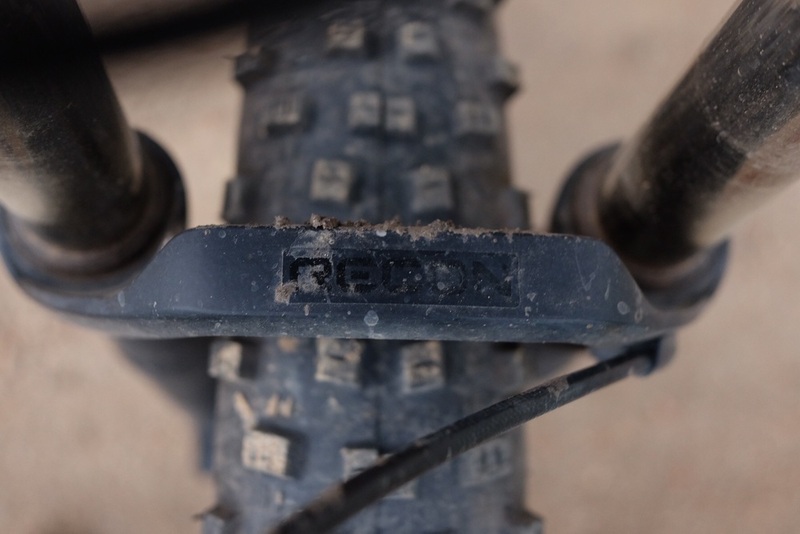 I believe 27.5+ is a killer tire size capable of making a rider more confident immediately. The Timberjack has a big front triangle similar to the size of the Salsa Cutthroat which is built for multiple day bikepacking. Carrying all your gear to your favorite local trail for an overnighter and a few laps would be ideal on the Timberjack. Or if a multi day single track ride is on your mind I would most definitely take this bike on a 3-5 day trip on the Kokopelli trail from Fruita, CO to Moab, UT or on the 500 mile Colorado Trail from Durango, CO to Denver, CO.
Stock Timberjack will come with the SRAM NX1 crank with a 30t chainring. The entry level Salsa Timberjack will also be offered as a 29er. For only $999. Killer. This bike brought back the love I have for getting new people into mountain biking. Timberjack gives you much more than expected with its price tag and it will grow with a new rider as they gain more experience and confidence. I'm stoked to put people on this bike so they can push their limits and explore their local trails either for the first time or for the first time in a long time. Timberjack put a major smile on my face this week. 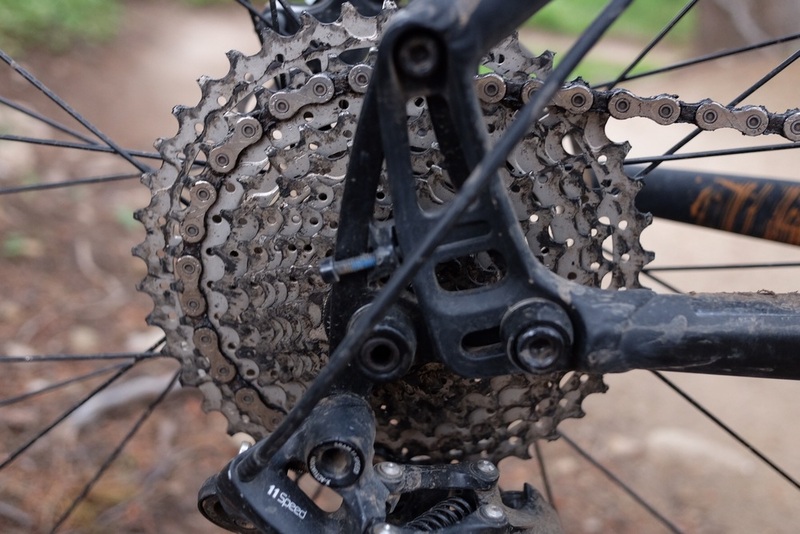 For a seasoned rider that is used to a lighter or more expensive setup the bike may feel a little sluggish at first, but could be fixed very quickly. 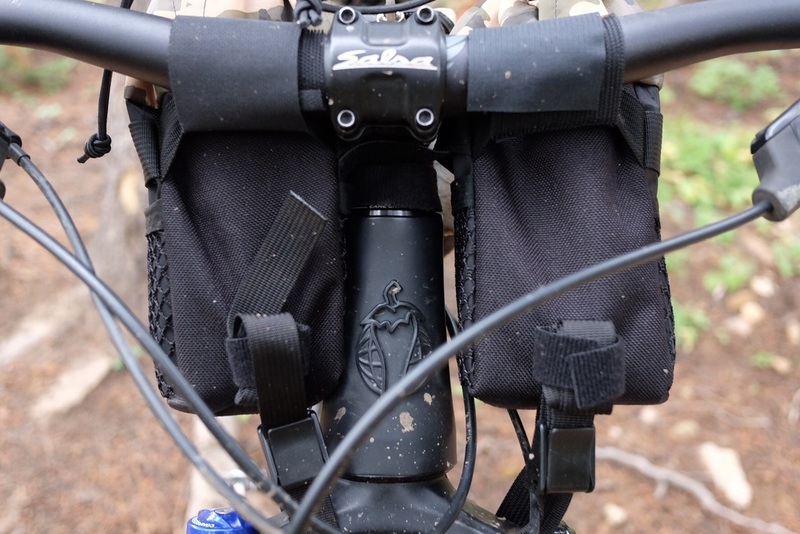 The platform of the full featured frame with all internal cable routing including that for a dropper post allows you to upgrade and see immediate benefits. A lighter more responsive fork could freshen up the ride and give this bike a much quicker feel at still the fraction of the cost of a carbon race machine. Or simply throwing $40 at a tubeless conversion would also make this already awesome climbing and decsending bike that much more fun and confident to ride. I believe this could be the all around go to bike for a mountain biker/bike packer wanting a seriously fun and capable bike to shred single track. Big shout out to the crew at Salsa Cycles for designing this bike and bringing it to a price point that is going to give a ton of rider's a killer experience. Also, a big thanks to Brian Hanson the Brand Ambassador for Salsa that waited over an hour for us in Golden, CO while we were trying to not run out of gas and trying to find the trail head he was at. You rule brother. These will hit the floor at your local Salsa dealer this fall in October.